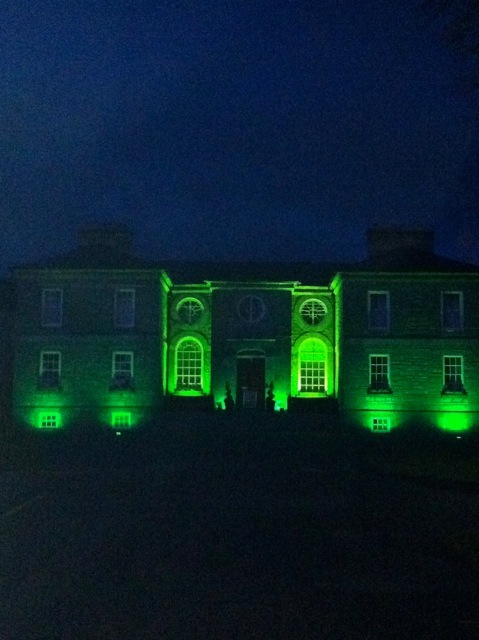 Like many other landmarks and buildings around the world, the historic main building of Midleton College (founded 1696) in the Diocese of Cork, Cloyne and Ross, was decked out in seasonal green from Friday evening 15th March to celebrate Saint Patrick’s Day. This entry was posted in Cork, Diocese, Saints Days, Schools in the Diocese. Bookmark the permalink.